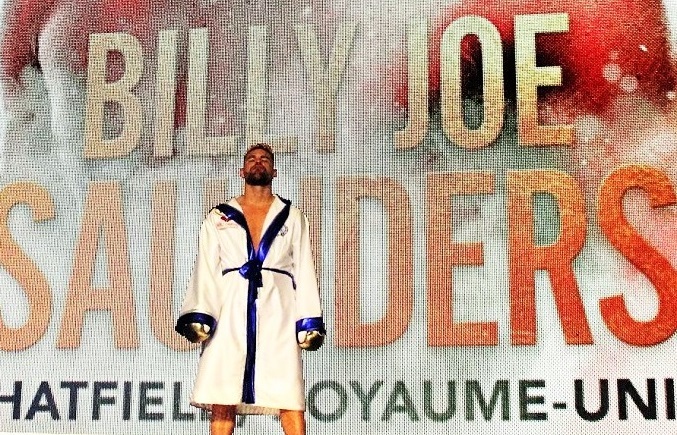 Place Bell in Laval last night hosted a massive fight card, flooded with local talent and headlined by the middleweight championship bout between Britain’s Billy Joe Saunders and Quebec’s own David Lemieux. 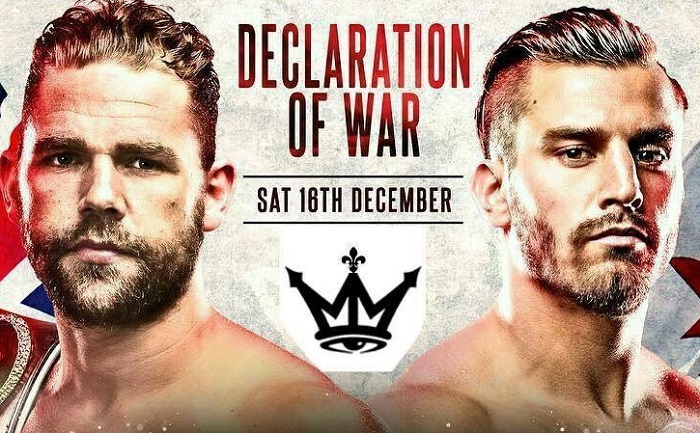 The main event was expected to present a classic boxer vs puncher duel, with the slick southpaw in Saunders seeking to outfox the dangerous puncher and hometown hero in Lemieux. Boxing fans were intrigued by a main event that would further clarify the murky middleweight division, where the quest for an undisputed champion remains ongoing. While Gennady Golovkin, Canelo Alvarez, and Daniel Jacobs are considered the creme de la creme at 160, there are a handful of players right underneath who pose a legitimate challenge. Ideally, Saunders vs Lemieux would serve to identify who, precisely, is most worthy of joining the upper echelons of the division, while eliminating the loser from the supporting cast. Adding further intrigue was the fact Lemieux had looked impressive in recent outings, having racked up four wins and a couple of knockouts since being stopped by Gennady Golovkin in 2015. Saunders, on the other hand, had struggled for two years to gain momentum since acquiring the WBO belt by outpointing Andy Lee. Would inactivity and lacklustre performances diminish Saunders’ chances in attempting his third title defense? Could Lemieux successfully complete his second championship run to become the first Quebec-born two-time world champion? Seeking the answers to these questions were over nine thousand fight fans on hand in Laval, and millions who tuned in to watch via HBO. 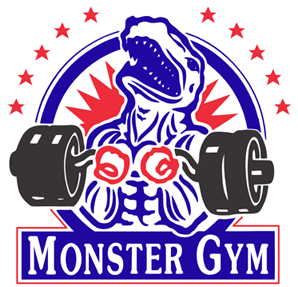 Camille Estefan and Eye Of The Tiger Management put on a huge show with virtually every fighter in their stable in action last night, in the process making a statement about the future viability of their enterprise. 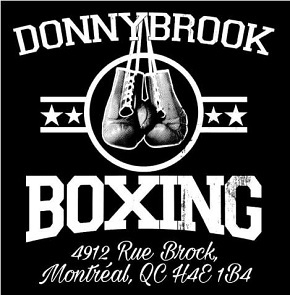 The non-televised portion of the event was a showcase for an impressive line-up of emerging talent, though it should be noted that in fact other fighters in the Eye Of The Tiger organization, including Ablaikhan Khussainov and David Theroux, performed at a small card in Sorel-Tracy two days before. Here’s a quick run-down of last night’s matches which were not featured on HBO. Heavyweight Simon Kean is now 12-0 as he stopped journeyman Mike Sheppard (25-22) in the second round. It was also a second round stoppage win for Steven Butler who improved to 21-1-1 after he dropped Lanardo Tyner (32-12-2) with a beautiful uppercut. 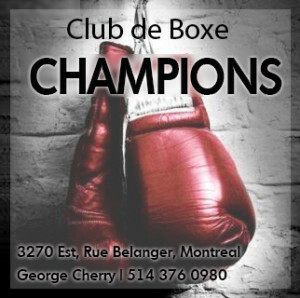 Undefeated American prospect Ryan Garcia notched win number 13, and Montreal’s Kim Clavel won her pro debut with a decision over Yoseline Maretinez (3-3). Olympic gold medalist Nicola Adams improved to 3-0 when she scored a third round TKO against Soledad Macedo (13-14-1) and Mathieu Germain looked impressive in dominating Juan Garcia Mendez (19-4-2) and securing a unanimous decision win. Germain is now 12-0. Sporting his brand new title belt, Custio Clayton holds court. Custio Clayton (13-0) won every round against Argentina’s Cristian Cora (27-6-2) and secured both a lopsided decision and the WBO International welterweight title. Clayton scored two knockdowns on the tough Cora who has never been stopped. And finally, super lightweight prospect Batyr Jukembayev is now 11-0 with an eight round decision win over Wilberth Lopez (20-9). Did we miss anything? That’s a lot of fights. And that’s not even the entire undercard! The HBO segment of the show got underway with a super lightweight duel between Cletus Seldin (21-1) and Montreal’s Yves Ulysse (15-1). This match was viewed by many as a stern test for Ulysse who was coming off a controversial defeat to Steve Claggett seven weeks before. Meanwhile, New York’s Seldin, aka “The Hebrew Hammer,” was riding a wave of buzz generated by his big win on HBO last month and his thousands of Long Island fans who call themselves “Hamma Heads.” Seldin vs Ulysse on HBO represented a huge opportunity for both prospects, but the match proved far less competitive than almost anyone expected. Ulysse got off to a fast start by scoring a rousing knockdown in the opening round with a series of uppercuts. 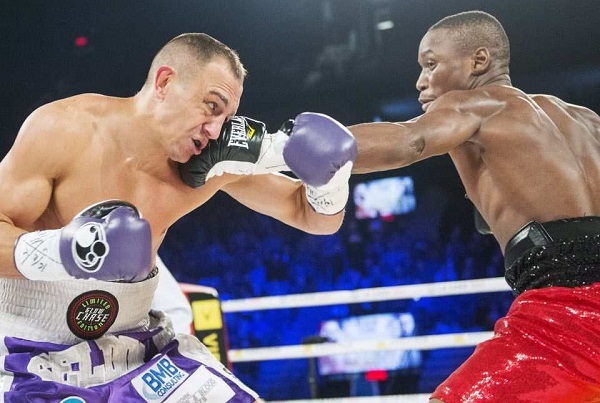 The second and third rounds saw Seldin visit the canvas two more times, widening the Montreal fighter’s lead on the scorecards, and severely demoralizing the usually combative Seldin, who failed again and again to close the distance on the much quicker Ulysse. The Hebrew Hammer barely touched Ulysse. The middle rounds, however, saw a disengaged Yves Ulysse move and move without offering much in the way of offense. As the crowd booed the lack of action, Seldin threw his arms up in frustration, while the referee reminded both participants they were, in fact, in the middle of a boxing match. Towards the end of the contest Ulysse was more willing to open fire and he displayed tremendous hand speed and accuracy. The final outcome was a wide decision in favor of the local favorite, who improved to 15-1, while Seldin is now 21-1. When he wasn’t coasting, Ulysse looked like nothing less than an elite-level and world-class talent and no doubt HBO will be inviting him back. 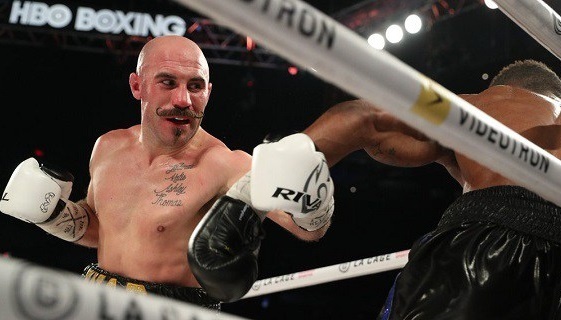 In the final preliminary of the evening, Gary O’Sullivan demonstrated that there’s substance behind that curled mustache with an impressive stoppage of fellow middleweight contender Antoine Douglas. The Irishman successfully imposed his style over Douglas, forcing the American to fight on the inside. Initially, Antoine held his own, matching as best he could O’Sullivan’s higher output, but as the rounds went on, “Spike” O’Sullivan mixed in some effective body work with powerful left hooks upstairs, gaining momentum and taking over the fight. The end came in round seven when a left hook badly hurt Douglas and O’Sullivan unleashed a barrage that put his opponent down and out. “Spike” improves to 27-2, while Douglas falls to 22-2-1. Finally, it was time for the main event, Saunders vs Lemieux. Despite the fervent backing of the sizeable crowd, the opening round saw Saunders control the action with his ring mobility and precise blows. His right jab snapped Lemieux’s head back often, and served as preamble for the occasional quick combination. 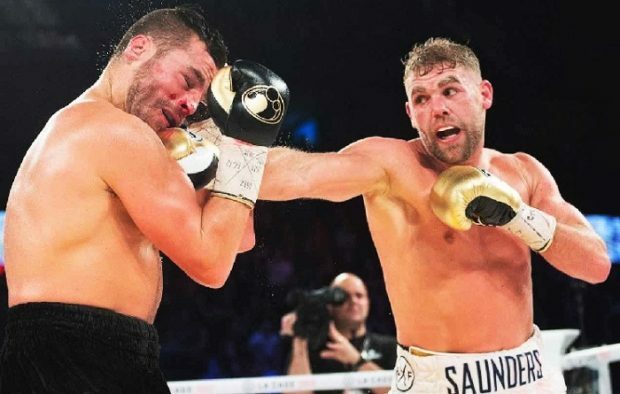 Lemieux was reduced to lunging after Saunders to try and land his big left hook, but the WBO champ, when not countering with a sharp left of his own, ducked and dodged before blunting any attack from the Canadian by clinching. And for the thousands who had come out to cheer on their hometown hero, sadly, that was pretty much the story of the entire match. The champion’s hand speed, foot work, and accurate punching together created an insurmountable problem for Lemieux, who appeared to have no plan B. For 12 rounds Lemieux kept trying and failing to mount an effective offense and bring his power to bear, while Saunders won round after round. Lemieux’s one-dimensionality was mirrored by that of his corner, who failed to communicate anything in the way of practical advice regarding tactics or ways to corner the Briton. Lemieux ate a lot of leather last night. “Saunders is one of those ring cuties whose southpaw stance and nuanced offense can, on a good night, zap the hustle of even the most determined of punchers,” we wrote in the preview post for this match, and while Saunders didn’t exactly zap Lemieux’s hustle–the challenger duly chased his slippery opponent all over the ring, only to get punished by exacting combos for his effort–he did win a wide unanimous decision, which surely zapped the Laval native’s confidence in his abilities, just as it zapped the energy and enthusiasm of the whole building. It was pretty much a shut-out for Saunders and a very discouraging night for Lemieux. There isn’t much else to say. With his performance–which HBO’s Max Kellerman qualified as a “masterclass” in the post-fight interview–Billy Joe Saunders made a case for himself as one of the best middleweights in the world. He has successfully cleared the two years of semi-exile that followed his winning of the WBO strap, and, at 28 years of age, he is surely as ready as he’ll ever be to face the other belt-holders, namely Canelo Alvarez or Gennady Golovkin. In his chat with Kellerman he radiated confidence, and we’re not talking here about pre-fight bluster but that which comes from the self-belief that can only be earned via a major win and the flawless execution of a fight plan. 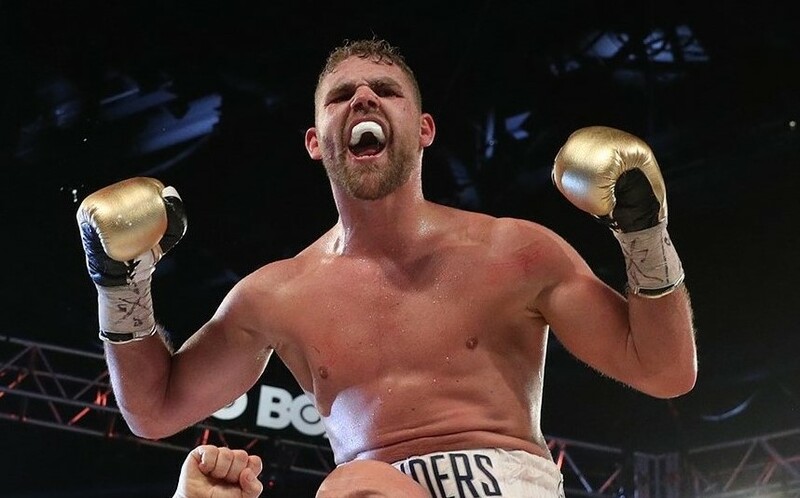 This is not to say that Saunders would necessarily defeat Canelo Alvarez, Gennady Golovkin or Daniel Jacobs at the moment, but there is now no doubt he is a worthy adversary for all three. It’s hard to say where David Lemieux goes from here. It’s evident there’s a cap to his potential, and despite his recent successes in the ring post-Golovkin, there’s also the feeling he has failed to evolve his game in the way necessary to become a truly elite middleweight. 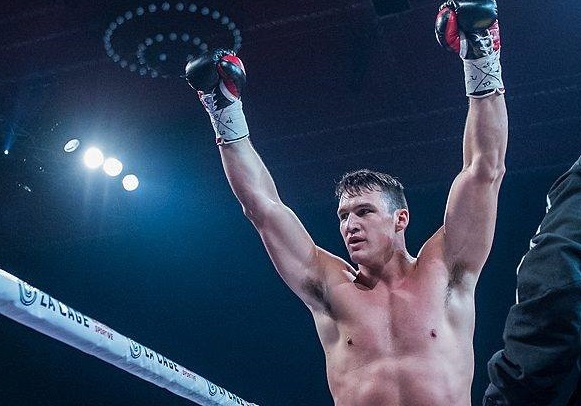 His punching power and determination are really his only major assets at this point, but the problem is that he hasn’t developed a method to deploy them against more talented fighters. 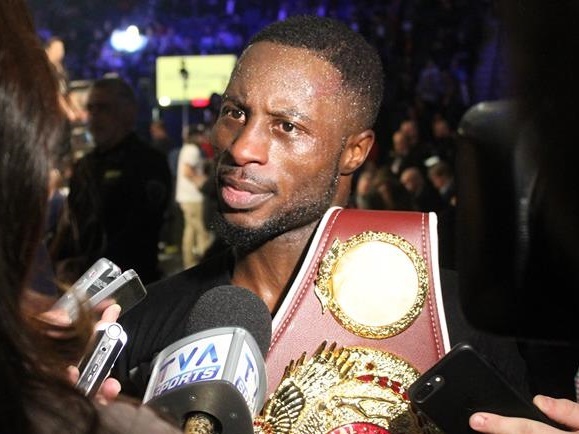 He remains popular and marketable in Quebec and no doubt there are meaningful fights he could still win, but at this point it’s difficult to envision him getting another chance at one of the top dogs in the middleweight division. The fact that Saunders is viewed now as worthy of the “best middleweights of the world” is not saying much for the state of the division right now (and boxing in general). I completely disagree. It’s very fashionable to dump on boxing nowadays. Fact is, the middleweight division is stacked with quality talent. 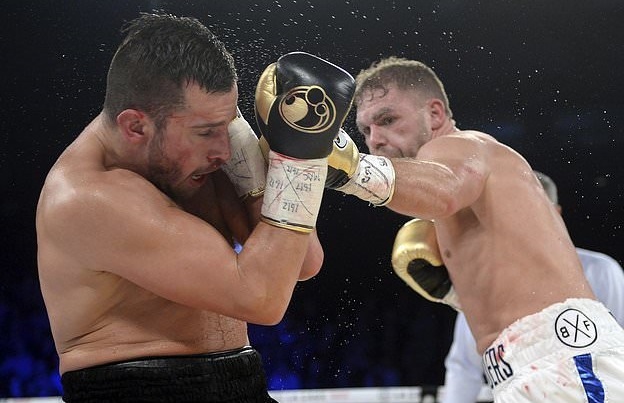 Billy Joe Saunders put on a masterful performance, nothing else to be said. Pining for a previous golden era is a lazy cliched approach. With the 2017 that boxing has experienced, for you to reference “boxing in general” as being in a sorry state you officially qualify as a troll. PS – The performance by Yves Ulysses was one of the most dominant I have ever seen, and I’ve been watching boxing for a long, long time! Took that boy to school. Between his and Sauders’ performances the night was pure boxing bliss.